Step inside the Lucasfilm art departments for the creation of fantastical worlds, unforgettable characters, and unimaginable creatures. The Art of Star Wars: The Force Awakens will take you there, from the earliest gathering of artists and production designers at Lucasfilm headquarters in San Francisco to the fever pitch of production at Pinewood Studios to the conclusion of post-production at Industrial Light & Magic-all with unprecedented access. Exclusive interviews with the entire creative team impart fascinating insights in bringing director J. J. Abrams's vision to life; unused "blue sky" concept art offers glimpses into roads not traveled. Bursting with hundreds of stunning works of art, including production paintings, concept sketches, storyboards, blueprints, and matte paintings, this visual feast will delight Star Wars fans and cineastes for decades to come. 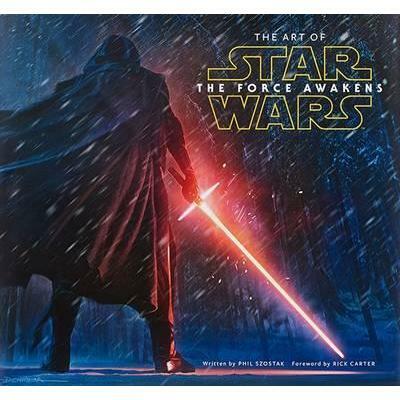 The Art of Star Wars: The Force Awakens is the definitive expression of how the latest chapter in the Star Wars saga was dreamed into being.ALSO AVAILABLE FROM ABRAMS IN AUTUMN 2016:The Making of Star Wars: The Force Awakens by Mark Cotta Vaz. Forewords by J.J. Abrams and Kathleen Kennedy.